Nike is slowly but surely re-introducing Kobe Bryant's fourth signature sneaker, the Nike Kobe 4, ranging from classic colorways to never before seen designs. 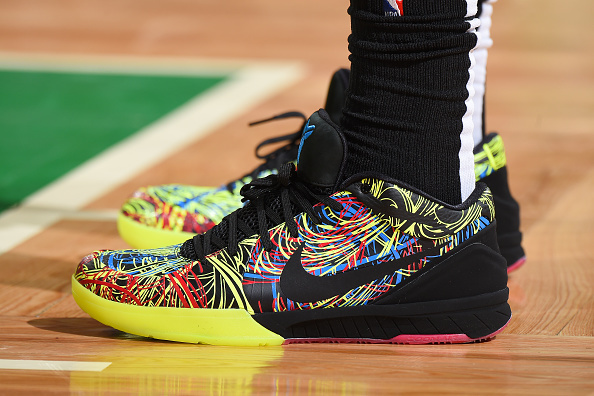 Among them, an all-new "Wizenard" Kobe 4 PE which was spotted on the feet of San Antonio Spurs shooting guard DeMar DeRozan last night in Boston. 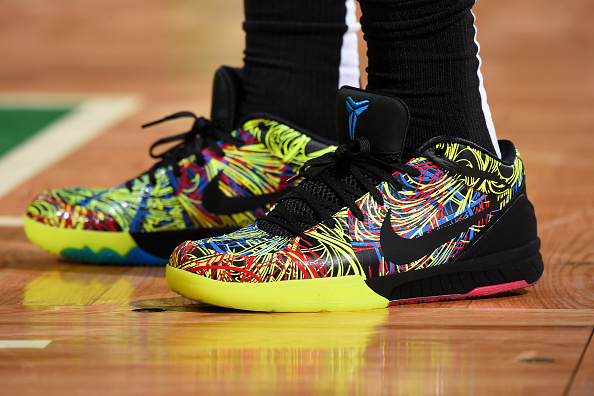 The special edition kicks are inspired by Kobe's new book, "The Wizenard Series." Nike has not yet announced any plans to release the Kobe 4 "Wizenard" PE, or any of the other exclusive colorways that DeRozan has laced up in recent weeks.